With 2 weeks to go until summer’s officially over, many Madrid-bound expats are looking into where they’re going to live for the next year. Whether you’re going to be an exchange student or an English “language assistant”, there are certain things you should know about each of Madrid’s neighbourhoods and districts. While everyone’s experiences differ, here’s a look at 5 of Madrid’s popular areas based on my time in the city. Disclaimer: this is informative, with my opinions on each area included. This means you could disagree with my thoughts on each district, so don’t take everything I say to be completely true for you! 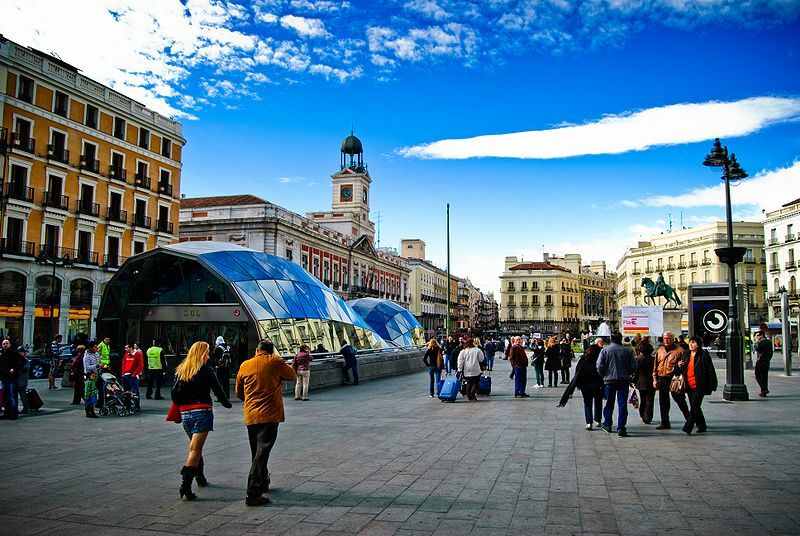 The center, known informally as Sol (after its main square, “Puerta del Sol”), is the heart of Madrid. It’s where tourists flock to first upon arriving in the city. It’s where friends – usually those unfamiliar with other areas – meet to start their night. It’s where chaos will be your enemy, and you know what they say – keep your friends close, and your enemies closer. Now, don’t get me wrong. Some people love the hustle and bustle of Sol. Locals tend to stay away from it, unless they have a specific reason for being there, but it still manages to be consistently busy. There are a few times during the week when it has a serene air to it, but it’s mostly a place you’ll have to be alert in. Lots of expats and tourists claim they’ve had some odd run-ins here – including times when their possessions mysteriously eluded them – although you’ll probably avoid any trouble. In and around the area, there’s El Corte Ingles – Spain’s biggest department store – where you can shop for clothes or food. It’s on the (very) expensive side, but also convenient. Besides that, though, you won’t find a very large grocery store. This is in part because, well, it’s not exactly the most livable area in Madrid. The interesting part of the center is that I lived there for approximately 4 months last year. I fled its hectic ways during the winter break, vowing to never live in it again. My stance on it hasn’t changed – my experience in Madrid was very different after I stopped living in Sol, and I mean that in a good way! The center isn’t only made up of Sol and Gran Via (the shopping area), though. There are some quieter and more old school Spain streets within the general area that are better options for those wishing to live more central. La Latina and Malasaña are popular districts here, although their distinctness means you’ll need to walk around them to see if they’re your style (I like La Latina, but not Malasaña!). Bonus fact: If you hang out here for too long, people are going to bombard you with invitations to their establishment, and will usually do so in English. Price (all in euros per month): You can find rooms here from 250 to 550, depending on what you’re looking for. It’s very typical to pay around 350 a month without utilities, although it all depends on where exactly you live, your comfort level, how many roommates you want to live with, etc. It’s all up to you! – You want to be able to go out until any hour of the day and walk home. Due to Sol’s vast amount of eateries, pubs, so on so fourth, it’s easy to hang out in. – You like smaller spaces. – You like the idea of walking to the metro at 7am and seeing people stumbling around from the night before. Even on a Tuesday (no joke!). – You plan on staying in Madrid for a year or less, and want an unforgettable experience. Would I live here? : I’ve already lived in between Sol and Gran Via, and considering I didn’t like it, I wouldn’t. However, that doesn’t mean you won’t thrive in the area! It’s important to assess your goals and expectations before choosing a life in the center, as it definitely isn’t for everyone. Major metro stations include: Sol, La Latina, Gran Via, Tribunal. Ah, Moncloa. I don’t like you – I adore you. If you’re anything like me, you’ll love the idea of living in a district that gives you New York City vibes while still being Spanish. With that said, Moncloa is a vast district, with each of its neighbourhoods being a little different. Upon the realization that Sol just wasn’t cutting it for me, I decided to escape to one of Moncloa’s little boroughs. This area doesn’t really have a clear name, but is often referred to as Principe Pio due to its local mall. I lived across that mall, and also Casa de Campo, Madrid’s biggest park. As an outdoorsy girl, this worked well for me. As the kind of person who appreciates the idea of a metro station on steroids, living across from one of Madrid’s best metro/train/bus stations also suited me. While the area isn’t the most sophisticated in Madrid, it’s down to earth, fairly international, and calm. It’s also close enough to the center – a mere 15-20 minute walk, and 1 or 2 metro stops away – while being far enough to escape the traps of Sol life. Another part of Moncloa that holds a special place in my heart is Arguelles. The best way for me to sum up how much I like it is to say that if I hadn’t lived in Principe Pio, Arguelles would have been my home. 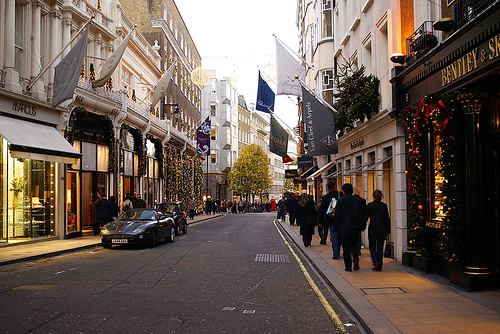 It has most of the things you would want from a neighbourhood – shopping, eateries, and interesting architecture. 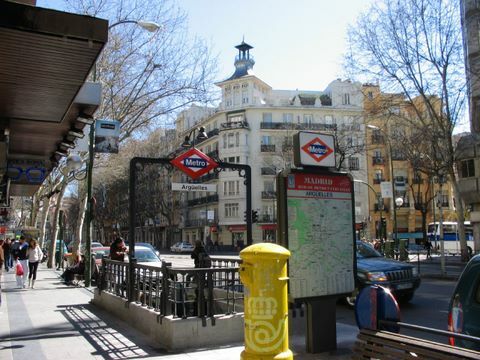 It’s also fairly close to the center of Madrid, and well-connected by buses as well as the metro. One of the things I love most about Arguelles is that although it’s not a touristy part of the city, it’s very international and young. Because of its proximity to a university, a lot of students choose to live around here – particularly the foreign ones. 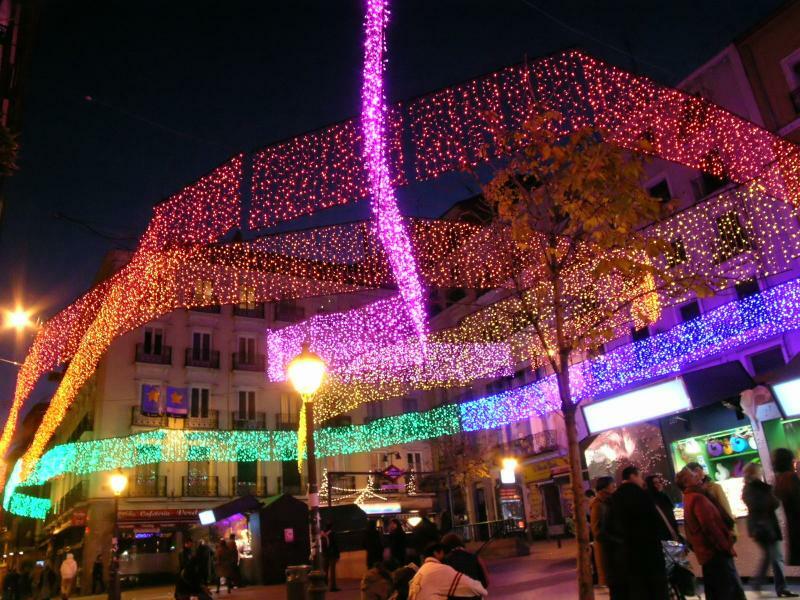 Although I enjoyed living in the Principe Pio part of Moncloa, there wasn’t as much vibrancy. Then, there’s the Moncloa neighbourhood itself, which also has many students, great eateries, and an especially obvious New York City feel to it. My favourite pizza place in Madrid – called En Guay Si – happens to be in the area, with its name being an obvious reference to NYC. Bonus fact: Atletico Madrid’s stadium is close to the Principe Pio area – it’s a 15-20 minute walk away. Price: Rooms here usually range from 300-500, although they can be more or less depending on a variety of things. However, I’d say the average rent for a nice room would be 350-400. – You want to be in a more livable area. – You like the idea of living near students. – You want an international feel, without forgetting that you’re in Spain. – You like good – but also cheap – food. – You want medium-sized streets. – You don’t want to look like a tourist. Would I live here? : Yes, yes, yes. Did I say yes? This is currently my favourite part of Madrid! Major metro stations include: Arguelles, Moncloa, Principe Pio, Ciudad Universitaria. Although not its own “district”, Chueca is a very well-known and very different part of Madrid that deserves its own post. It’s not my favourite part of the city, but it’s hard to compare it to any of the others. Chueca is vibrant, young, friendly, and a great place to get a unique experience. It’s also known for its sizable gay community, unofficially deeming it the “gay neighbourhood” of the city. For this reason, it’s where any gay pride march happens in Madrid, often making it famous for its tolerance in a country that isn’t necessarily very open about its LGBT members. While I didn’t spend much time in Chueca this past year, I did like it every time I entered its premises. There are several great eateries and places to meet friends, including one very famous market. The Mercado San Anton is a three-story market that offers wonderful food representing cuisines from all over the world. It’s a bit pricey, but that reflects Chueca’s general expensive feel. With that said, it’s a great area, and very close to Gran Via. Bonus fact: Chueca has great yoga. Seriously. Price: The same as Moncloa. – You want to be in a more liberal part of Madrid. – You like to have a laid back night out that also makes you feel super cool. – You want more alternative options. – You want something close to the heart of Madrid while being able to maintain a slight distance. – You don’t mind smaller streets. Would I live here? : Probably not, but only because it’s too central and too small for me. As much as I like how compact Madrid is compared to North American cities, I do like the wider streets found in Moncloa, Salamanca, etc. Major metro stations include: Chueca. To sum up Salamanca in one word: classy. This district is also rather large, with some of its inner neighbourhoods not as nice as the others. However, generally speaking, it’s a nice part of Madrid. It’s where Madrid’s most expensive shopping can be found (on Calle Serrano), where the North American (U.S. and Canada) embassies are, and where a lot of Madrid’s older and well-off families live. The only downside to all of this is that Salamanca can sometimes be a little too expensive for the more frugal-minded, with there not being as much opportunity to negotiate prices. There are also fewer metros in this area, so make sure you choose a place near a station! One of this district’s most popular neighbourhoods is Goya. Goya is conveniently located near great shopping, a major sports complex, and the Retiro neighbourhood of Madrid. It also happens to be the part of Salamanca I nearly moved to! Bonus fact: Xabi Alonso lives here. Yes, this gives you permission to stalk freely. Price: Finding a room for less than 400 can be a challenge. Some of the less prestigious parts of Salamanca fall in the 300-400 range, but again, they aren’t as commonly found as they are in other parts of Madrid. If you’re willing to pay a little more (400-500, at the very least), you’ll have better luck. – You like calmer areas. – You like window shopping. – You want an “upper class” Madrid experience. – You don’t mind being far away from the (inexpensive) hang outs. – You’re classy, refined, and a little bit pretentious. Would I live here? : Sigh. One day, I hope to. Major metro stations include: Goya, Núñez de Balboa, Doctor Esquerdo. I know, I know – it’s not a district, nor a neighbourhood. Not officially. However, for a lot of soccer/football fanatics, it’s an area of significance. 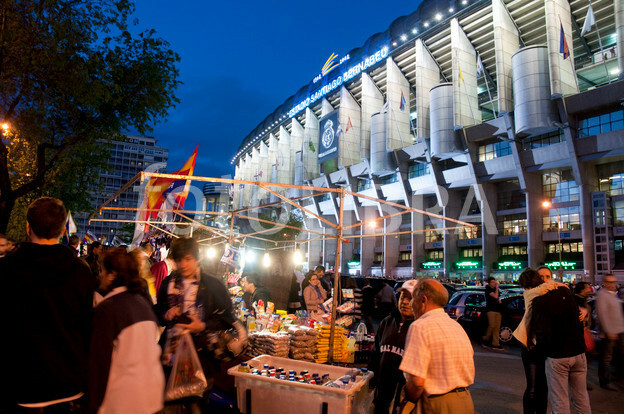 If you’re about to make the move to Madrid and happen to enjoy the beautiful game, you’ve probably google’d everything you can about the stadium – its whereabouts, whether it’s possible to live near it, or (if you’re like me) how to stay away from it. The truth is, the stadium is one of the best parts of Madrid. As much as I – a Manchester United fan – don’t like to admit it, it’s worth a visit. However, to live near it will usually require paying a little more for less than you’d get in other parts of the city. It’s not where the more affordable places stand out, as the stadium is located in the business district. Some people do, obviously, live near it, but they usually pay a lot more because of work convenience. Before I crush your dreams, though, hear me out: you can afford it, if you want to. It’s not impossible to find a room here, although you’ll be shortchanged. The area itself isn’t lively at all – as I said, it’s the business district, where people go to work, not play – and doesn’t offer much for the more outgoing types. The good thing is, if you’re a big fan of the team, you can live anywhere near line 10 and take one metro line up to see Real Madrid in the flesh. That is also a possible downside to living near here – any time there’s a game, your metro ride home will be hell. So, look into it if your heart is set on it, but don’t be disappointed if you end up somewhere else! Bonus fact: The stadium’s close to Nuevos Ministerios, one of Madrid’s biggest metro/train/bus stations that is also a shopping center (of sorts). Price: Around 350 and up. – You love Real Madrid. – You don’t mind living somewhere meant for business and football tourists. – You like a challenge. Would I live here? : No. Major metro stations include: Santiago Bernabeu. Wherever you choose to live, there’s no doubting the potential of your surroundings. Madrid is one of those unusually awesome places where you can have a positive experience just about anywhere. Best of luck in your search! Do you have a favourite part of the city? Do you disagree with anything I’ve said? Are you moving to Madrid this year and have any questions? Feel free to ask me anything! Tags: Europe, Live, Living, Madrid, Maps, Neighbourhoods, Rent, Spain, thoughts, Travel. Bookmark the permalink. Hi! This is super helpful. I’ve been considering Goya, but after reading this I think I’ll look into Moncloa more. What are your thoughts on Chamberi? Chamberi’s great. It’s just north of the city center – far away enough from the craziness, while still being somewhat close – but not as north as Nuevos Ministerios, thus not as business-y. It’s a big area though and it depends on where exactly you are. The areas to the west (particularly southwest) are very Arguelles-like, whereas if you go north, it’s much more like NM and less walkable. It’s got a traditional vibe to it, but the streets are nice (not as narrow as they are in Malasana etc) and it’s well-connected to all the major areas. Good local/fresh markets, too! Funny you should mention it – it’s where I’m likely to be this year. I love its combination of everything and its location. I like your tips on where to live in Madrid. If I was going to live in Madrid, I would live near the Atocha train station. Then you would not be only near one of the train stations that are centrally located but could also go alot to The Prado Museum whichis one of the largest art museums in Spain with major collections of Spanish, French, Italian and German art spanning centuries. In addition to thousands of painting the Prado Museum in Madrid is also home to more than 700 works of Sculpture by various artists. How fun! One part of Atocha is near Reina Sofia etc, but generally speaking the Atocha area isn’t the nicest. I definitely wouldn’t live near it, unless we’re talking about the area near Retiro or RS. The Prado is great! I’ve been a couple times now, although I’m not a huge (non digital) art fanatic. This is really interesting. I’m currently writing a book and my characters live in Madrid for a few weeks. I’d love to know more. Can you message me at devenluca8@gmail.com? You could definitely be a better source of information than the library. It might be better if you think of a few questions and send them to me at therootedtraveller@gmail.com. 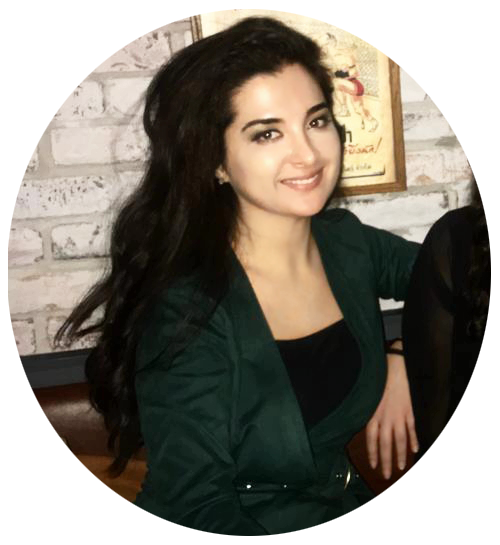 I’d love to help – I’m also working on a book, so I’d be willing to help however I can! I envy your pictures and your experiences. Well, thanks! I’m sure you’ve had many more experiences than I have, with even better ones to come. I may have but it is the quality of the experiences that count. I wrote many of them on my blog. If you get chance take a look. You have so many more roads to travel and that it great. I lived in Cuatro Caminos in 2006/2007 and loved it! I so want to be in Spain right now! Amazing post. I plan on traveling to Europe one day and will use your blog as a reference. Unfortunately us Americans do not get to travel as much. I’m from good old North America too, so I understand completely. It’s why we travel the way we do – like opportunists, trying to soak it all up when we’re in the vicinity of anything new! I’ve found Aussies are like us in that respect. 🙂 I hope you do travel there! I think people from the USA get the least amount of vacation time than any other nationality out there, from what I have read. Anyways your blog is good, I just wonder what took so long for it to get freshly pressed. I’ve heard that too, but we get about the same amount of time. What shocks me is how few Americans have passports. There are even a large amount of Canadians who don’t, but more of us do. It’s incredible – I’ve always thought of my passport as a necessity, but I’ve always traveled. Oh this post took me back! I lived twice in Madrid, in several different neighborhoods, but my first apartment was near Sol in the Plaza Mayor. I loved the chaos! It kept me up all night and got me out of bed in the morning, it was such an invigorating experience. Until the holidays, when it could take a half an hour of pushing through crowds just to get to the metro. Then it was off to Atocha for me… The center was amazing, but nothing was better those beautiful sleepy Saturdays on the grass in Retiro. You had an apartment in Plaza Mayor??? You MUST tell me about it! Every time I pass it, I wonder what it’s actually like to live there. I’m not sure I’d like it – I have to admit, I love being thrown into the unknown, but I hate loud sleeping environments. It does get beautiful during the winter break, though. Ha ha, well, it was not nearly as exciting as it sounds – I was just a broke student at the time, so the price of living in a beautiful, historic place was to sleep in a basement bedroom with no windows. It was definitely a quiet sleeping environment, but only because it was a dungeon! Like I said, the thrill wore off pretty quickly, but the experience made for wonderful memories. It’s really interesting that you did the famous walk. How was it? It’s become very popular again in recent years. Wow, your post makes me want to move to madrid! Cool post. Thanks! You should definitely visit it sometime. I like Madrid I was working there for 2 years doing plumbing. Wow, very interesting. That must have been a good experience! Thanks! I visited Valencia this year: https://therootedtraveller.wordpress.com/2013/03/20/to-be-valenciana-fallas-weekend/ I wasn’t surprised at how much I liked it. It’s great! We have been planning to go to Spain. This sure will be helpful!! I’m glad! I hope you have a great trip! I love your photos. Very informative. How is the economic climate there? Thank you – I’m glad you like it. The economy isn’t great. Spaniards – particularly young Spaniards – are dealing with a ridiculously high unemployment rate. Those who ARE employed don’t get paid very much. The good thing is that the cost of living is quite low (compared to North America…. definitely). Even though the Euro’s a stronger currency than the US dollar, it’s actually incredible to me how much less the pay is over there. I’ve had a Spanish girl tell me that it’s impossible for her to save anything on her salary, although to be honest I know how much she gets paid and I think there isn’t much frugality over there. Health care is still “free”, or at least it isn’t expensive like it is in the US. The main problem, I guess, is that there aren’t really enough jobs. It’s worse than it is in North America – much worse. I should add, though, that the economic climate doesn’t affect foreign English teachers. We obviously go over there for a job, so the lack of jobs isn’t an issue that pertains to us. Madrid is amazing. Haven’t seen much, but spent two nights on Posada de Huertas on my way to the Camino! Will come back again. And now I have a “list” 🙂 Thanks a lot for the great and informative post! I do like Huertas – the area. 🙂 Thank you! I hope you do go back! I spent some time in Madrid earlier this year…it is now on my favourite cities in Europe list (the only one that still tops this for me is Rome). I agree that Sol is extremely busy and you do need your wits about you. If however, you are looking for a nice restaurant in the local area try Trattoria Malatesta (I know it’s an Italian but the food is great). We very rarely go back to a city twice however, we are planning to return here next year. I’ve been to that restaurant – I quite like it. I’ve heard from a lot of people who’ve done the quick European big city tour that Madrid was their favourite or up there in the top 3. It’s a great place, for sure. It’s definitely worth a second visit! Good informative post. I plan on traveling to Europe soon. Unfortunately, I haven’t been to Spain yet but reading your post, it’s tempting. I think Spain’s a great place to start! It’s really easy to do a cross-country trip and visit all the major cities. It’s surprisingly affordable, doesn’t take much time, and the people are friendly enough to make you feel welcome. There are so many great places to see! Very well-written. I’ve always dreamed of visiting Madrid. Thank you for sharing your thoughts. I haven’t passed through Madrid for decades now, but seeing it through your eyes makes think about coming back and soaking up some of the Goyas at the Prado. Nice walk down memory lane for me. Thanks. It would be a great reunion! Thanks for the reminder of Madrid and sharing a great idea of a post. Such great memories from there. Great memories always make a place better. 🙂 Fascinating blog, by the way! Followed. Ah, but no photo I’ve searched for seems to do Salamanca justice! There is a street or two that do look quite similar, no? I actually am considering living near CC, though I’m having to make sure I’m near my particular metro line for work. That area as a whole does work quite well, though. No, no! I didn’t mean that I need to live on a street with wide roads, just that I prefer living in an area that’s a little less cramped in general. Y yo creo que Chamberi no es como Malasaña – hay mas espacio. Great post – thanks for all of your help! I was wondering if you could tell me more about Huertas (or the neighbour hood called Las Letras?) I can’t wait to move over! Brilliant informative post – love Madrid! Heading there in September, thanks for the information. Are utilities usually included in a room? Can you share a room with a friend? Is it hard to get an apartment and get set up with utilities without renting a room from someone? Can’t wait! Hi Jessie! Utilities sometimes are, but sometimes the landlord gives you a fixed amount you agree too (for example, 30 euros for the month). I’ve had both – one apartment where we paid what ever the bill was, and another where it was always the same. You can definitely find a place that offers two beds in a room – they’re usually cheaper, although I personally wouldn’t go for it. The only issue with getting an apartment is that you have to sign a lease, and that binds you to a lot of legal issues. If you’re a European citizen, it’s probably easier. If not… just be careful. Internet takes a long time to get up and running, as well – about a month on average! I’m looking for ways to supplement my income? How easy is it to teach private classes in Madrid? I am planning on studying abroad this summer. Would it be possible to get an apartment for a month in Moncloa? Do you have any suggestions on where I should look? Yes, it’s definitely easy to find short-term apartments in that area, since it’s where students usually live in Madrid (the university’s right by there). I suggest either going a week before you need to, and simply walking around and calling numbers on buildings, or going on sites like idealista.com a month before. Apartments in Madrid aren’t reserved months in advance, so you would have to leave the heavy searching to a month before you go (at the very most). If you’re going in August, definitely look July 1st onwards as most people leave Madrid in August… in that case, you may even get lucky and get a cheaper steal! Any thoughts on the neighborhoods east and south of Parque Retiro, near metro stations Ibiza, Sainz de Baranda, Conde de Casasl, Pacífico, and Menéndez Pelayo? Seems like the park would provide a nice buffer from the tourists. I wish I could give you more info but those are neighbourhoods I’m not too familiar with!